Follow the logic — if you’re building something big, you need big tools. Engineers behind the state of Texas $930 million plan to replace Corpus Christi’s iconic span are pulling out their biggest to date. Crews took advantage of a break in the recent rains Thursday to move in the first pieces of what eventually will become a massive launching gantry crane to the Harbor Bridge replacement project work site. 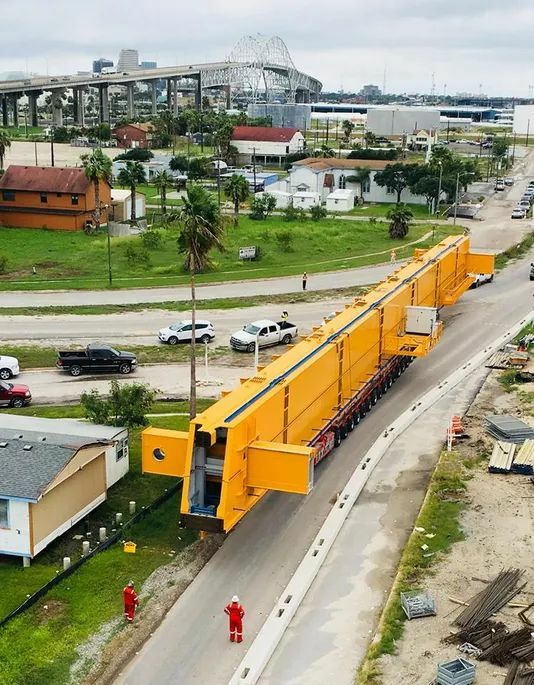 Flatiron/Dragados, the contractor hired to head the years-long project, posted images of the crane pieces as they were wheeled to the North Approach section of the work site by a 22-axle transporter. Assembling the crane will take three to four weeks. Once that’s done, it will measure 530 feet. “This is going to be a monster crane,” project manager Nick Manfredini said. 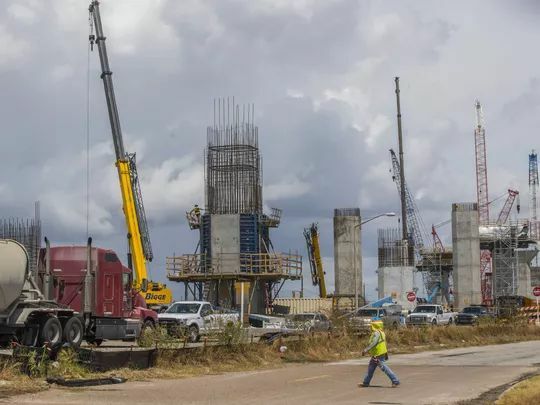 In all, 2,600 segments, which are being crafted at a construction yard in Robstown, will be stitched together to make the new bridge. The first such segment was placed on the work site last week. The crane will be used at several different stages of the bridge during the project.